ISLAMABAD: Even as the top court asks questions about properties developed by Pakistanis in the United Arab Emirates (UAE), the 1.6 million Pakistanis were contributing to the development and prosperity of the Emirati state. 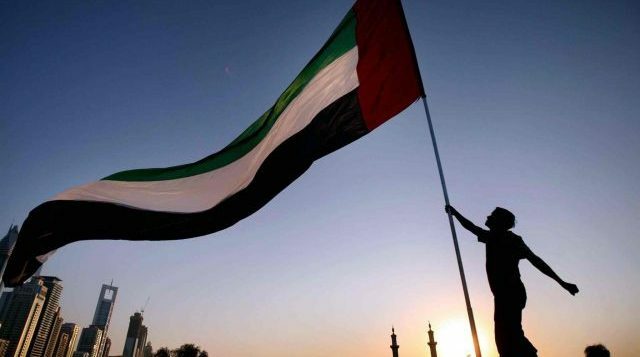 This was stated by UAE’s Ambassador Hamad Obaid Salem Al Zaabi at an event held in the capital to mark the 47th national day of the Gulf emirate. The ceremony featured a host of colourful traditional dances and delicious Arabian cuisine. At one point, the ambassador also joined the traditional dancers. “UAE has a society which conjoins more than 200 nationalities,” Al Zaabi said as he highlighted Pakistan’s contribution in the development of the country by living in peace and harmony. “I would like to commend the bilateral relations and unique friendship which has withstood various tests and the scope of our cooperation has kept expanding with the passage of time, covering various fields,” he added. The ambassador extended special thanks to the leadership and the people of Pakistan for their felicitations. He highlighted that this was a significant year for UAE as it witnessed a steady evolution in the economic and trade sectors and making substantial progress in social development apart from playing a vital role in regional and international affairs. Al Zaabi pointed to the UAE passport’s rise to become one of the world’s strongest travel documents as proof of the emirate’s diplomatic achievements. “In 2018, it [UAE passport] ranked third in the world according to the World Passport Index, reaching 163 countries visa-free. 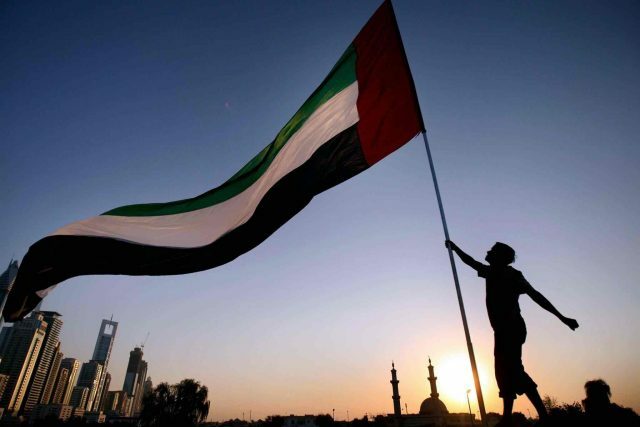 Furthermore, UAE ranked first among Arab states and 20th in the world in the Happiness index, first in rule of law in the Middle East and North Africa (MENA) region, fifth globally in the Safety Index, 20th in government effectiveness, globally two UAE seaports rank among the top 50 world container ports with the Jebel Ali Port ranking ninth globally and first in MENA,” he extolled. He pointed to the upcoming Dubai Expo 2020 as one of the most important milestones currently underway. Expected to host more than 200 participating countries, he said that the exhibition is an effective implementation of international cooperation policies and plays a central role in expanding and bolstering bilateral and multilateral relations. Giving a brief account of bilateral relations with Islamabad, the envoy said the two countries enjoy a unique friendship which has withstood various tests while the scope of their cooperation continues to expand covering various fields. “I have tried, since my assignment as head of this mission, to give an impetus to the bilateral relations which were established by none other than UAE’s founding father Sheikh Zayed Bin Sultan Al Nahyan, based on deeply rooted strong political, religious, cultural and economic links,” Al Zaabi said. Referring to Prime Minister Imran Khan’s recent quick-fire visits, Al Zaabi said that they had further strengthened bilateral ties between the two countries. He added that during the visit, the leadership of both countries had resolved to further intensify and strengthen their wide-ranging and mutually beneficial ties. The envoy also gave a nod to the growing ease of doing business in Pakistan and a conducive investment environment, stating that it was a matter of pride that the UAE’s public and private corporations were actively investing in various areas. He added that a 22-member high-level delegation comprising members from prominent UAE companies had visited Pakistan in October to explore other areas of investment. He hoped that Pakistan will continue its journey towards peace, social and economic development. “I am confident that under the joint efforts of the leadership of both countries, the relations will continue to keep pace with the time,” Al Zaabi said.